Providing first class installation and design services for both Residential and Commercial clients since 1993 Phantom Sound & Video is committed to our goal of offering the latest technologies in an intuitive and simplistic manor. Whatever your need we have a solution or will custom design one for you. Beyond The Studs is an Electronic System Contracting firm bringing Homes, Offices, Conference Rooms, and Businesses alive with custom Audio, Video, and Control solutions. We specialize in "one-touch" solutions that put Control of AV, Lighting, HVAC, Security, and more, at the touch of your tablet/smartphone. Satellite dish and receiver sales, lease and installations for both commercial and residential accounts. Video security system sales and installations for both commercial and residential customers. Integrated Home designs and installs whole house audio/video systems, home theaters, customized climate and lighting control, telecommunication and networking, and security cameras for homes and businesses. Simplicity and flexibility are the cornerstones of our well-designed, integrated systems. We use the art of engineering to incorporate modern technology with elegance and functionality. 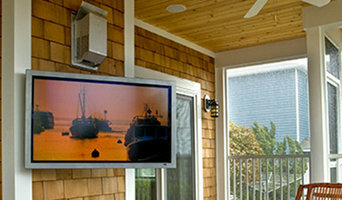 Integrated Home installs systems that will meet your needs and surpass your expectations. Magnolia Audio Video is a wholly owned subsidiary of Best Buy, Inc. The Wilmington Design Center is located in and operates out of the Concord Pike Best Buy location. Responsible for providing system design and sales proposals to clientele seeking creative premium electronics lifestyle solutions. Levels of service include in home advanced consultations, post sale product support, and single point of contact for retail purchases. As the only commission based position in the entire Best Buy corporate structure, we are particularly beholden to the clients we serve to earn their trust, business and referrals! We are making the shopping much more fun and far less time consuming. Because we offer a marketplace for all your ideas, needs and wishes. From pet supplies to home decoration and innovation. "Shop The Moment" with ChochoXpress and enjoy. Easy to reach on all platforms; desktop, tablet and mobile phone. Home media specialists not only can design the seating and decor for your dream home theater, but most of them can help you find specific media control options, conceal your television and various accessories, set up optimal seating, choose and install ideal lighting, and help create the ultimate viewing environment. Some of these Delaware professionals work entirely on their own, while others work with subcontractors to get the job done. Here are some related professionals and vendors to complement the work of home automation & home media: General Contractors, Interior Designers & Decorators, Paint & Wall Covering Dealers, Furniture & Accessories, Specialty Contractors. Find a home media designer on Houzz. 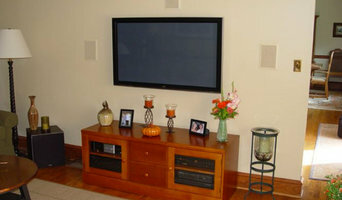 Narrow your search in the Professionals section of the website to Wilmington, DE home media designers. You can also look through Wilmington, DE photos by style to find a room you like, then contact the professional who designed it.